This Sunday, January 27th at 3pm EST, Chief Engineer Arthus will be leading the Expedition into Cavernam for a massive dungeon crawl! While the event is active, players will earn Event Points by dealing damage to monsters in Cavernam. The more damage done, the more points received. Once the event has been completed, Event Scores will be calculated and rewards will be distributed to player's banks. All players attending the event will also receive a "Cavernam - Into the Arctic Abyss" Collectable Card at the end of the event. The Event Scores for this and Supply the Expedition events are SEPARATE and do not affect each other. At certain points during the event, areas may be blocked off and need to be cleared to progress further into the dungeon. Players must hold back monsters and protect Arthus and his Expedition Llamas while he clears a path. Expedition Camps will also be constructed along the way to aid in resupplying. Once this event has completed, Cavernam will be open as a standalone dungeon. Will this be a pvp event or will it be safe to bring aspect gear? First off, nothing is ever 100% safe so don't bring your best gear to an event expecting nothing to happen. That's just unnecessarily careless. Bring gear you're not going to mind losing since it's possible there'll be wipes and corpses can be lost (watch the Gronch video for a preview). As players progress further into Cavernam, "Expedition Camps" will be set up where there'll be a Healer/Banker/Stablemaster to resupply at should things go awry. That being said, during the event (as a coded mechanic), negative actions are prevented against innocents (Blues) but Faction flagged players and Murderers will still need to be wary and prepared for anything. We want players to be immersed in the Expedition itself since this is a special event and there are ample opportunities to PvP outside of this. So what I found out from Chief Engineer Arthus is that due to the possibly unstable state of the crystalline cave, field and chaotic spells have been nullified during the Expedition. Once more research has been completed, they should be allowed as normal. Are the reward options the same as the prior event? 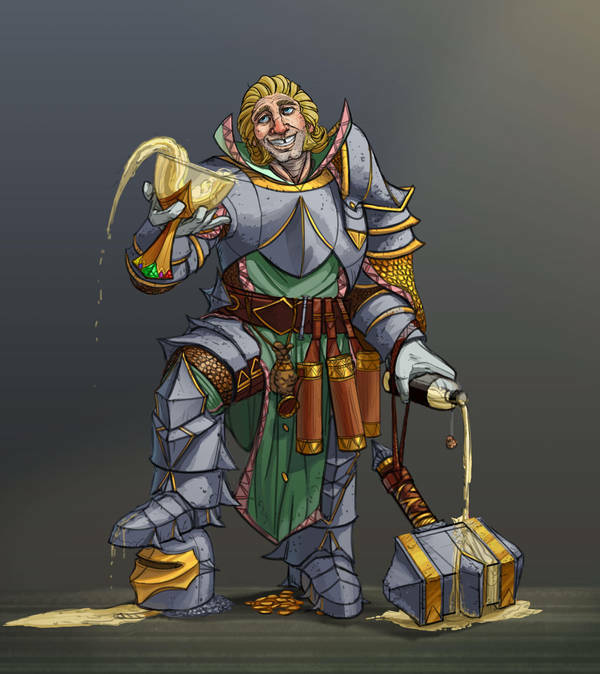 It is known that Knights frequent taverns for the ale and rough atmosphere, which is undeniable, however it is in the tavern where the stories and rumors are spread that tell of adventure, riches, glory and mystery, and this is often where our journeys begin. One of these tavern rumors is that of Cavernam. Not the dungeon itself, for that is well known by many, but what supposedly lies within the dungeon that not many, if any, have ever actually seen; everfrost - a magical ice that is said to be hidden deep in Cavernam at the heart of the snowcapped mountains. Little is known about this mysterious artifact other than what explorers and sailors have shared in their drunken monologues, but it is said that this magical ice is what creates the frigid atmosphere in the Northern regions of Avadon from within the mountains and never melts in any environment or under any conditions except dragon fire. Our knights have helped gather many supplies for this expedition, and will be accompanying the adventure party on the morrow to protect Arthus and his Expedition Llamas while securing the parameters of each base camp along the way as we conduct our search for the fabled everfrost ice. We are not sure if this "everfrost" is real or not, but if it is, it may be the answer to how we knights can keep our ales cold forever, in any climate, and that alone is worth risking our lives for. Huzzah!! See ye there, Avatars! It was very immersive to all of a sudden be allowed to cast on blues after one of the server crashes. In future events will event ruleset changes done on the fly mid-event be announced to players? huzzah! A grand event considering the mass amount of adventurers there to help see the caravan through! We await more news of the discoveries therein and the further expeditions needed to conclude the Cavernam Research! Thank you! I couldn't have done it without @Calak! And yea, to be honest, I was describing/showing footage to someone (who doesn't play) about the event today and even they can't think of a current game that has 480+ people in one place like that. It was quite a feat and awesome! Yeah I don't care about losing the gear, I had nothing of value. What sucked was loading back in and finding out the rules and gameplay that we have told were going to be X were now Y. I am just wondering if next time maybe communication of the change would be possible? Agreed, exactly what im doing. I am just wondering if next time maybe communication of the change would be possible? I made an announcement in game and on Discord when it happened. Luckily Luthius already resolved the issue so that's great. I know one of the main things during the Gronch event was the stamina fatigue and really glad that was fixed here, especially since more than three times as many people showed up to this event. I'm still flabbergasted by that. I'm already working on a highlight video of the event, as well as for the Tournament. Maha! I knew the old timer in the tavern was tellin' the truth! I must admit, amidst all the carnage of the expedition crew in total, I myself have not seen this guardian dragon with mine own eyes, but if he did hold on him a piece of the fabled everfrost, we knights would indeed like to partake in just the shaving of it's magical essence to sprinkle in our ale reserves! We first gathered with the rest of the expedition party, comprised of many eclectic warriors, wizards, soothsayers and beastmasters. We secured our armor, sharpened our blades and packed our bags full of ale. Our headcount was soon lost in the sea of avatars, but alas, we held our ranks! Huzzah! The expedition made their way into Cavernam, navigating its frigid corridors in search of the ancient living ice sculptures that guard it's secrets at great depths. We knights are in there, see us? Aye! Behind those dragons!.. somewhere. Deeper and deeper our quest did take us. As Arthus and his Expedition Llamas carefully detonated explosives in order to make clear passages in the dungeons depths, the crowd stood back (or were blown back if not!) and watched as he unveiled chambers that have not been seen by any living eye today, and maybe even in hundreds of years! Could it be?! Is this what we were hoping to find on this exploration quest!? What was reported by the expedition was a success. A note was made that a certain Carvain, Emperor of the Everfrost was seen and killed. We are searching for clues as to what this dragon might have carried, and if there is an adventurer who was part of the expedition that might have retrieved such a relic so very crucial to our research (how to keep ale cold forever!). Further expeditions will be carried out by the Knight's Guild in search of more clues that this dungeon may hold and return any findings we and our archaeologists make to Chief Engineer Arthus and the Cambrian Delvers guild. This was fantastic. I spotted the Knights several times but obviously had a lot going on as I can see you did too! Seeing material like this pushes me to do more as well, so thank you! Some epic music in that video, excellent video, I wish I hadn't missed the start, those epic explosion charges are amazing... really well done event from the start where we had to build up supplies, which you used during the event!!!! to actually fighting through the dungeons in stages, and the constant updates and direction going through... Well done to all the Staff here for making it a truly fun event!! !